Ok, let's chat a sec... You've probably been looking at different websites for days or maybe even weeks trying to decide which photographer is perfect for your Senior... and your wallet! I'm sure by now you've seen a million pictures and read enough information to make your head spin! I want to simplify this whole process and help you to realize that it really just comes down to style.. yes, style! What I mean is this- if you're looking for the traditional tux and drape pictures, you've come to the wrong place! Seriously, I don't do those... they're boring! But ask me if I purchased them for our two kiddos that have already graduated and the answer is yes... why, you ask? Well.. because even though its not my style, it's the picture that will be in their yearbook and it's that traditional senior portrait that most Southern families have to have of their graduates. But is it the ONLY Senior portrait I have of them? Um, heck no! All 4 of my kids have totally different tastes.. and I wanted to showcase each of their personalities in our home! Luckily, I own a photography business and I know our styles, so I can tailor my kids' Senior Sessions to their likes and my likes! I'm sure you and your Senior are a little different and are expecting different things... well, lucky for you, I can tailor a session to BOTH of you! -What happens if it rains? -When will we do them? -Where will we do them? -What will my Senior need to wear? -How much is this going to cost me?? Well believe it or not, all the answers are super easy! All you need to do is fill out the contact form.. that lets me know that you'd like more information about booking a session, and I'll send you an email that's FULL of information including all the juicy details about the sessions I offer for both guys and girls... and of course, pricing. I am not a photographer that will come out to "snap a few pictures and hand over a cd"... You're booking more than just someone with a "good camera" to take your photos... that's like saying your oven makes you a great dinner every night! The camera is the tool.. the person that operates it is the artist! (I bet my husband wishes I'd use the oven as much as I use my camera!) 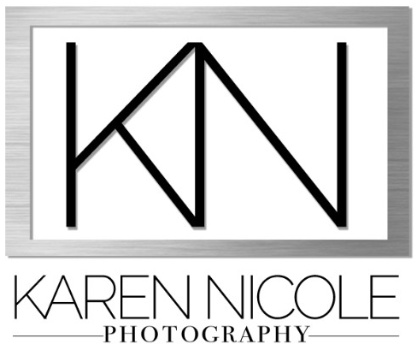 You see, I offer a full photography service... meaning that the experience, products and service that I deliver is second to none. I hold your hand from beginning to end to help your Senior and your family gets exactly what you need.. from planning the session to your favorites hanging on your wall or in a beautiful album. Sessions start at $75 and prints start at just $39. I offer individual products, pre-set packages and a "Create Your Own Package" system at your Portrait Reveal & Ordering Session. There, you'll see stunning products including custom designed albums, graduation announcements, wall art, and much more! So go ahead, request more info, and let's get started!